Are you looking for stocks of branded clothing? Today we are going to present three offers from a Bulgarian wholesale company specialised in exporting fashion apparel. They are offering for sale many garments for women and children by prestigious brands: Mohito, Reserved and LPP. The company is one of the leading suppliers of last season clothing by famous brands as well as end of season collections in South-East Europe. All clothes are authentic, brand new, with original price tags, and of very high quality. The minimum order quantity for each stock is always 500 pieces. The second offer is on a mix stock of Mohito women’s clothing. This is also an assortment of autmn-winter clothes from the 2016 collection. The goods are available at slightly higher price, and the total quantity is not that large as in case of the previous stock. 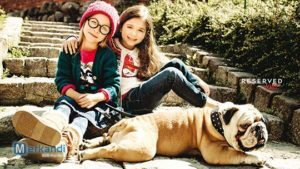 The third stock is composed of last season Reversed clothing for children, available in an assortment of top quality autumn garments and winter accessories. You can collect the goods in person Sofia, Bulgaria, after making an appointment with the wholesaler, or you can have the items shipped (internationally) to your place. In case of the latter, the delivery time takes 4-7 days. The seller accepts payment in cash, by bank transfer and payment online.